Non-Muslims occasionally raise the idea of banning the Koran, Islam, and Muslims. Examples this month include calls by a political leader in the Netherlands, Geert Wilders, to ban the Koran — which he compares to Hitler's Mein Kampf — and two Australian politicians, Pauline Hanson and Paul Green, demanding a moratorium on Muslim immigration. What is one to make of these initiatives? First, some history. Precedents exist from an earlier era, when intolerant Christian governments forced Muslims to convert, notably in 16th-century Spain, and others strongly encouraged conversions, especially of the elite, as in 16th- and 17th-century Russia. In modern times, however, with freedom of expression and religion established as basic human rights, efforts to protect against intolerance by banning the Koran, Islam, or Muslims have failed. In perhaps the most serious contemporary attempt to ban the Koran, a Hindu group argued in 1984–85 that the Islamic scriptures contain "numerous sayings, repeated in the book over and over again, which on grounds of religion promote disharmony, feeling of enmity, hatred and ill-will between different religious communities and incite people to commit violence and disturb public tranquility." The taking of this demand, known as "The Calcutta Quran Petition," to court prompted riots and deaths in Bangladesh. The case so alarmed New Delhi that the attorney general of India himself took part in the proceedings to oppose the petition, which, not surprisingly, was dismissed. 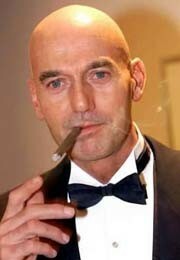 Pim Fortuyn (1948-2002) led the most consequential effort so far to end Muslim emigration, in his case, to the Netherlands. This early petition set the standard in terms of collecting objectionable Koranic verses. Other efforts have been more rhetorical and less operational. The most consequential was by Pim Fortuyn in the Netherlands to end Muslim immigration. Had he not been assassinated in 2002, he might have ridden this issue to the prime ministry. The coordinator of Italy's Northern League, Roberto Calderoli, wrote in 2005: "Islam has to be declared illegal until Islamists are prepared to renounce those parts of their pseudo political and religious doctrine glorifying violence and the oppression of other cultures and religions." A British member of Parliament, Boris Johnson, pointed out in 2005 that passing a Racial and Religious Hatred Bill "must mean banning the reading — in public or private — of a great many passages of the Koran itself." His observation prompted a Muslim delegation to seek assurances, which it received, from the Home Office that no such ban would occur. Patrick Sookhdeo of the Institute for the Study of Islam and Christianity in 2006 called for prohibiting one translation of the Koran, The Noble Koran: A New Rendering of its Meaning in English, because "it sets out a strategy for killing the infidels and for warfare against them." Other Western countries witnessed lesser efforts: Norway's Kristiansand Progress Party sought to ban Islam in 2004 and Germany's Bundesverband der Bürgerbewegungen sought to prohibit the Koran in 2006, arguing for its incompatibility with the German constitution. "Stop the Islamification of Denmark" demanded in early 2007 the prohibition of parts of the Koran and all mosques, calling them unconstitutional. Australia's Catch the Fire Ministries argued in 2004 that because "The Koran contradicts Christian doctrine in a number of places and, under the blasphemy law, [it] is therefore illegal." Elsewhere, writers have made the same demands. Switzerland's Alain Jean-Mairet is the strategist of a two-part plan, popular and juridical, with the goal that "all the Islamic projects in Switzerland will prove impossible to fulfill." In France, an anonymous writer at the Liberty Vox Web site wishes to ban Islam, as does Warner Todd Huston in the United States. The 2006 movie V for Vendetta portrays a future Britain in which the Koran is banned. My take? I understand the security-based urge to exclude the Koran, Islam, and Muslims, but these efforts are too broad, sweeping up inspirational passages with objectionable ones, reformers with extremists, friends with foes. Also, they ignore the possibility of positive change. More practical and focused would be to reduce the threats of jihad and Shariah by banning Islamist interpretations of the Koran, as well as Islamism and Islamists. Precedents exist. A Saudi-sponsored Koran was pulled from school libraries. Preachers have gone to jail for their interpretation of the Koran. Extreme versions of Islam are criminally prosecuted. Organizations are outlawed. Politicians have called for Islamists to leave their countries. Islam is not the enemy, but Islamism is. Tolerate moderate Islam, but eradicate its radical variants. Aug. 29, 2007 addenda: (1) The Albanian communist effort to ban all religions between 1967 and 1985 is a separate matter because not specifically directed against Islam. (2) One of the persons named above, Alain Jean-Mairet (who also happens to be my translator into French), responds to this argument at "Interdire ou ne pas interdire?" May 11, 2010 update: The front cover of Die Weltwoche, a Swiss weekly asks "Muss der Islam verboten werden?" ("Should Islam be banned?"). The editorial develops themes of Lukas Wick, who answers in the affirmative. Nov. 23, 2013 update: I pursue the topic of one country's attempt at "Islam Banned in Angola?" Related Topics: Democracy and Islam, Islam, Muslims in the West | Daniel Pipes receive the latest by email: subscribe to the free mef mailing list This text may be reposted or forwarded so long as it is presented as an integral whole with complete and accurate information provided about its author, date, place of publication, and original URL.